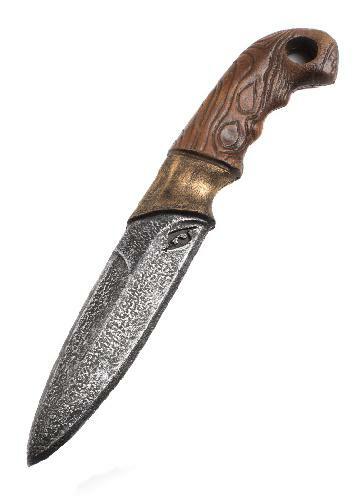 A coreless dagger, which is modeled after a short hunting knife. The foam weapons by Empic Armoury are designed with a focus on safety, functionality and fantasty-oriented appearance. To maintain the protective coating intact, heavy dirt should be promptly removed with water. Strong and long-lasting heat or sunlight should be avoided.